As you’re reading this post on Facebook, you must be aware that to log into Facebook you need an email account. But have you ever wondered about the origins of email? Email turned 32 yesterday. But how many of us know that VA Shiva Ayyadurai, an Indian-American scientist invented Email when he was just 14. 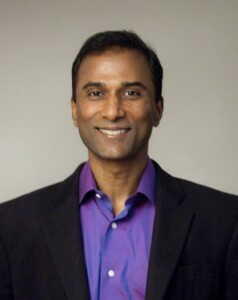 Ayyadurai was born to a Tamil Family in Bombay, India. At the age of seven, he left with his family to live in the USA. In 1978, aged 14, he developed a full-scale emulation of the interoffice mail system which he called “E-mail”. It replicated all the functions of the interoffice mail system: Inbox, Outbox, Folders, Memo, Attachments, Address Book, etc. These features are now familiar parts of every email system. Studying at Livingston High School in New Jersey, Ayyadurai began his work on the email system for the University of Medicine and Dentistry of New Jersey. He closely observed that the desktop of each secretary, in addition to the typewriter, had an Inbox, Outbox, Drafts, Carbon Copy Paper, Folders, Address Book, Paper Clips (for attachments), etc., which they used each day to create and process incoming and outgoing mail. Then he conceived an electronic version of this system. He created a computer program of over 50,000 lines of code, which electronically replicated all the features of the interoffice mail system. On August 30, 1982, the US government officially recognized Ayyadurai as the inventor of email by awarding him the first US Copyright for Email for his 1978 invention. Yet his name is nowhere in modern history of computer science. Whoever claims the invention, Ayyadurai will remain the father of E-mail. We hope he gets the name in history he deserves.